This easily absorbed lotion hydrates skin and provides UVA/UVB protection to help shield it from harmful rays that can cause premature aging of skin. When used in conjunction with the MKMen® Face Bar, it reduces the appearance of fine line and wrinkles and restores the look of younger skin. Retains its sun protection for at least 80 minutes in water. Apply liberally and as often as necessary after using cleanser and at least 15 to 30 minutes before sun exposure. Reapply after swimming, washing, excessive sweating or other vigorous activities. Skin Care Tip: When used together with MKMen® Face Bar, it can help reduce the appearance of fine lines and wrinkles. Homosalate (10%), Octinoxate (7.5%), Octisalate (5%), Oxybenzone (5%) and Avobenzone (3%) are UVA and UVB sunscreens which the U.S. Food and Drug Administration has determined to be both safe and effective, within certain concentrations, in protecting the skin from ultraviolet light. Triple Tea Complex (Camellia Sinensis Leaf Extract) is an antioxidant known to help protect the skin from the effects of free radicals that are generated by the environment and contribute to the signs of aging. 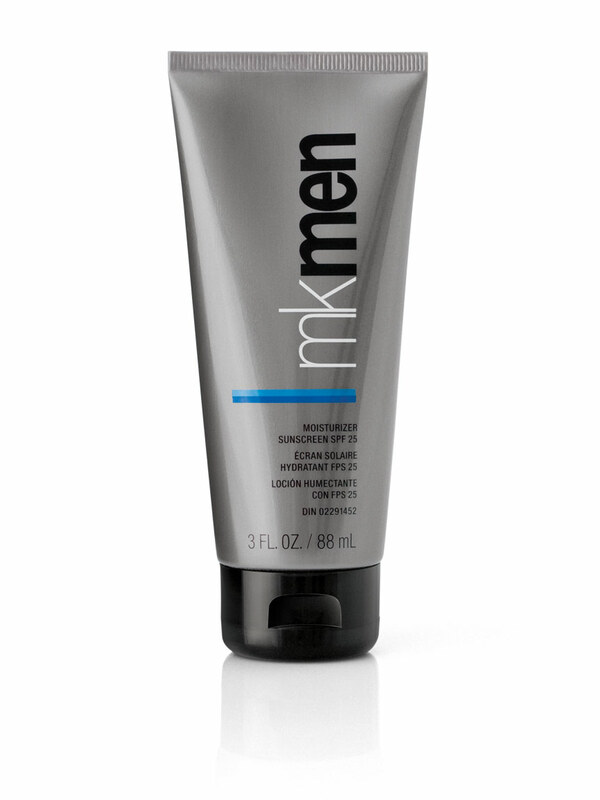 MKMen® Moisturizer Sunscreen Broad Spectrum SPF 25* not only moisturizes, but also protects skin with UV sunscreens. Contains vitamins and an antioxidant botanical blend (Triple Tea Complex) that neutralize free radicals that are known to contribute to the signs of aging.